If a Contractor decides that it wishes to appeal a Contracting Officer’s Final Decision, it is then necessary to appeal within the time constraints and to make a decision as to what forum is more beneficial to the Contractor - be it an appropriate Board of Contract Appeals, the proper federal district court, or the U.S. Court of Federal Claims. There is a broad spectrum of issues that can be appealed, and the appeal process must be managed in an efficient manner to make the Contractor whole as well as maintaining a good working relationship with the Government in order to continue contracting with the Government in the future. An appeal is made pursuant to FAR regulations, which states that a "Claim by, or against, a contractor that cannot be satisfied or settled by mutual agreement requires that the Contracting Officer render a final decision on the claim." If this final decision is not acceptable to the Contractor, then the Contractor may appeal this decision to the appropriate agency Board of Contract Appeals. In order to be timely, a Contractor must appeal within 90 days to the agency board of contract appeals. Depending on the amount of the claim, a contractor may elect to proceed under the Board’s Small Claim Procedure, or its accelerated procedure. 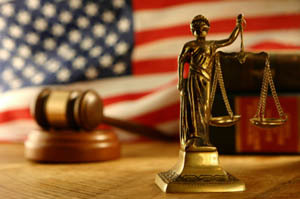 A Contractor may elect to proceed directly in the United States Court of Federal Claims (pursuant to the Contract Disputes Act of 1978) within 12 months of the date of the Final Decision. A prime contractor can sponsor a subcontractor’s appeal if the prime contractor may be liable to the subcontractor for the amounts it claims. Ordinarily, sponsored subcontractor appeals are pursued in the name of the prime contractor. However, a timely appeal filed in the name of the subcontractor may be sufficient to establish jurisdiction as long as the prime contractor’s sponsorship can be shown. An update on how False Claims Act damages are calculated. Copyright © 201​8 Malyszek & Malyszek. All Rights Reserved.